Today I visited the British Heart Foundation website about 15 minutes before registration for the London to Brighton Bike Ride opened. To be honest, it was a complete coincidence. I was actually going to read the latest news on Heart Research, but found myself in a “Waiting Room”, approximately 650th in the queue. So I waited. London to Brighton is an annual event. I have watched it from afar but never participated – For a few years I lived just off Clapham Common where it starts. It attracts thousands of people (27,000 last year) so the atmosphere looks amazing. I always fancied it, my non-participation was mostly due to laziness. Given I was already in the queue , I figured “Why not?”. The Euro City Cycle is really for me. It’s over four days, and was the challenge I set myself back in August when I really didn’t have any idea what I’d be capable of. I guess in a way it was two fingers to the Heart Attack and putting the Rehabilitation I was undergoing into some context. It seems like a lifetime ago now, but many of the anxieties still exist, just not to the same degree. I can’t imagine how I’ll feel when I finish the event in Brussels (other than a bit sore of course!). London to Brighton will be a community event. it’s the British Heart Foundation’s flagship fundraising event so there’ll be a big team there. I would imagine there will also be a number of people other than myself doing both events. I think there is something magical about large crowds. I’ve always got a buzz from attending big sporting events, or concerts. On a couple of occasions I’ve had the privilege of being in the middle as a competitor. 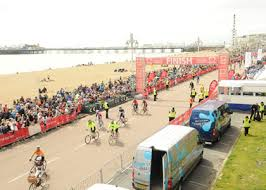 I think London to Brighton will be a bit of both: Spectator and Participant at the same time. It happens that London to Brighton takes place on the anniversary of my Heart Attack. That will make it a little bit more special. It will be a really nice way of closing out the year and looking forward to the future. 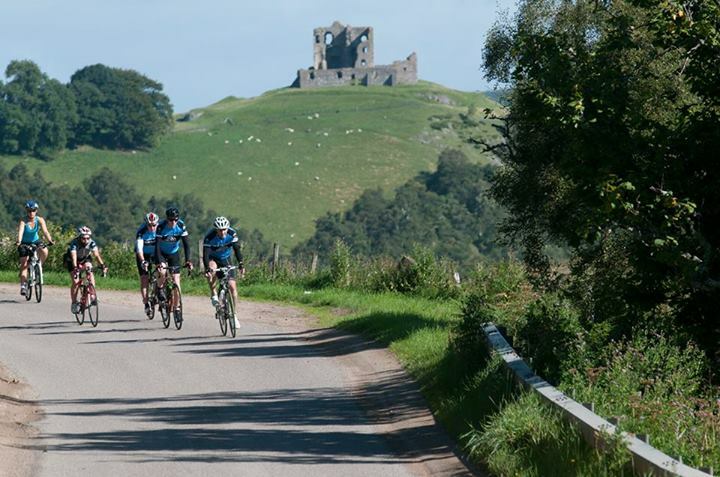 Finally, I have the Ride the North event in late August: Inverness to Aberdeen over two days. This is probably the most challenging (a bit more bumpy than Belgium and Holland! ), so lucky it’s last! I’m going to participate in with some friends, so it’ll have a different feel to the others. Of course, the plan is to raise money for the British Heart Foundation over the course of the year too (You can help by donating here), but selfishly there’s a lot more to it for me. I’ve never done anything like this before. In a way it’s strange that it took a Heart Attack to prompt me into action. At the same time it had to be something fairly drastic to break the habits of the past. Either way, I’m excited about the summer’s plans and passing some memorable milestones on my journey! This entry was posted in Charity Bike Ride, Exercise & Fitness and tagged British Heart Foundation, Charity Cycle, Cycling, Heart Attack, L2B, TheBHF on January 18, 2014 by Paul Squire.